Disaster Recovery Plan is a set of procedures and a documented process to protect and recover IT business in the event of disaster. It is a processed document in a written format which specifies the procedures an organization has to follow during a disaster. “Continuity of operations” is another term associated with information technology disaster recovery planning for the recovery of assets, data and facilities. It is a given time in which the business process should be restored after the occurrence of any major incident. Some files need to be recovered from backup storage for use in normal operations. It is defined as the time measurement of maximum acceptable data loss amount. Network disaster recovery plan is a set of procedures prepared for an organization to respond to an interrupted network service, for instance; local area network, wide area network, internet access and wireless network functionality during a man made or a natural disaster. A Network disaster recovery plan provides various guidelines for network restoration services. According to IT disaster recovery planning, resources are required to perform the network recovery procedures, critical storage of documents as well as maintenance of the offsite backups. 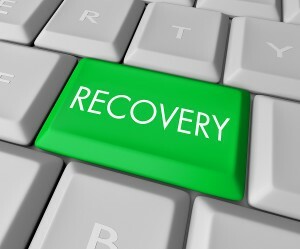 Backup disaster recovery solution is the first step of database disaster recovery. It suggests that you create a backup of your system on regular basis. 3 consecutive copies should be maintained before overwriting. A copy of the documentation and key passwords should be saved in a secure place. After every 6 months, the most recent data backup must be retained for permanent offsite storage. Backup and disaster recovery solutions are the only way to protect your data from any kind of threat to your system. Backup is a necessary evil in ensuring that company data is secure and users are happy. Some of the technologies use integrated data protection in combination with the power of cloud storage. It does not require any separate backup and recovery systems. If you want to know more about the disaster recovery plan, feel free to contact i2k2 Networks.